Check our interview with talented singer/songwriter Alec Joseph who has already proven himself to be a mogul, entrepreneur, and musical game changer in the pop music world. He is the #1 independent artist on Top 40 Radio, and has recently released the first-ever 360 virtual reality music video for his charting single, “Tongue” (seen on MTVU). Check it out HERE. The video stars influencers, Chloe Lukasiak (Dance Moms) and Twan Kuyper in a multi-narrative story of broken promises. Alec spent last year opening for two-time Grammy winning group, Pentatonix, on their World Tour. The young performer recently placed within the Top 5 in the Macy’s iHeart Radio Rising Star Competition. 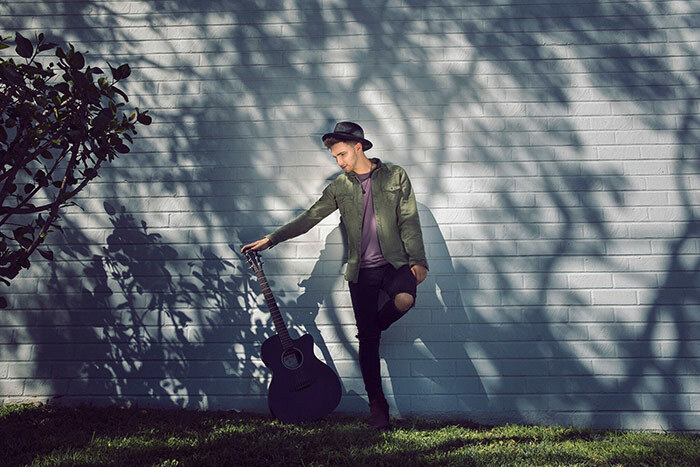 Alec has also opened for such artists as Jordan Fisher, Kelsea Ballerini and Cher Lloyd and just has completed a North American tour with Jacob Whitesides. As a social media mogul, he has attracted over 600,000 followers, and teamed up with TigerBeat, America’s #1 magazine for teenagers, to help run their social media department. Hi Alec, please tell us a little about you? Thanks for having me! I’m a 20 year old singer/songwriter from New York, living in LA, and studying music at USC! I started singing in school, and at 14, my vocal teacher said be as reckless as you want and send videos of you singing to as many people’s email address in the music industry you find online as possible. I got a response that flew me out to LA to start writing and recording here, and it’s been nonstop since then, which I’m extremely grateful for! My older brother definitely influenced me to start making music. He would always play me the coolest new songs and would predict if something was going to be a hit, so that really inspired me to start trying to do the same. Yea all the time—actually recently more than ever. I think it just means that you care a lot about what you’re doing, and you’re excited. That rush of adrenaline right before hitting the stage is an amazing feeling. My next goal is to write some more songs for other artists. I love writing and creating in different styles of music, so I hope to be able to work with some more other artists in the near future! 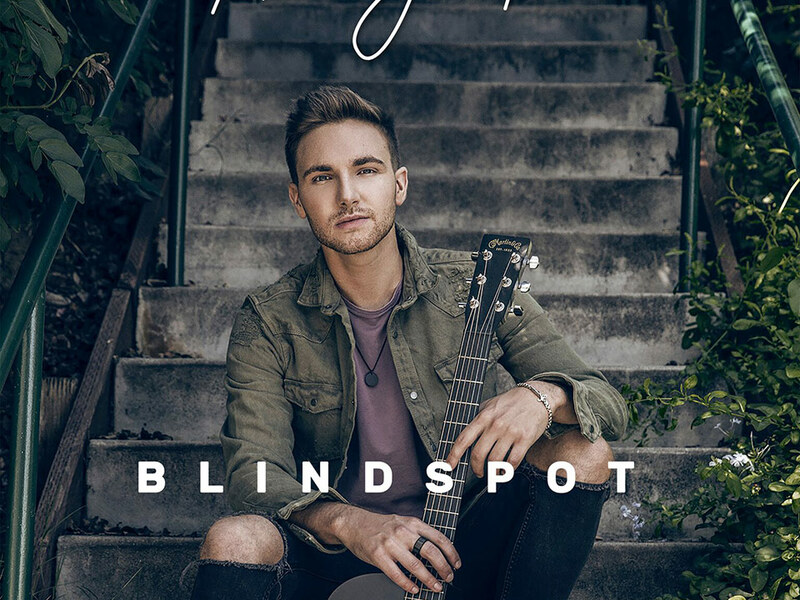 I think Blindspot is a really cool mixture of acoustic elements of the guitar and some electronic sounds. I tried to blend the sounds of some of my favorite artists like John Mayer and Ben Rector with some electronic flares. How challenging is to be in the music business but as an Independent Artist? It’s really challenging, but very rewarding at the same time. It’s definitely a 24/7 grind, but then I remind myself I’m doing what I love every second of the day, and I’m extremely lucky to be able to say that. Why not signing with a major record label? I’ve wanted to spend some more time recently, really figuring out my craft, and exactly what I want to put out into the world. I’m not against it at all though—I think major labels are powerful, and maybe I’ll sign with one soon. And the feeling to be on the Top 40 Radio as #1 Independent artist and # Worldwide in iHeart Radio? I’ve been really fortunate to work with some incredible people, and of course my fans go really hard and their support means everything to me!! My favorite song is Sailboat by Ben Rector. The melodies are very powerful and I love how visual the lyrics are. I’d love to meet one of my ancestors from a long time ago. It would be really cool to get to talk with my great-grandfather who moved to the US from Lithuania. You can be the juiciest, sweetest peach in the world, and there are still going to be people who don’t like peaches. Usually wake up around 8, eat some breakfast, go to a morning class, come back and hit the gym, take a shower, go to a writing session, head back to a night class, come home and eat some dinner and hang with some friends, and then head to bed. I have a lot of energy for someone who doesn’t sleep much lol. I try to put a lot of enthusiasm into everything I do. Definitely has its ups and downs. It’s great because it can help spread a message instantaneously to millions of people. It can be bad because we spend too much time caring about what people think of us through a screen, rather than going out and living life. Sports Team: New York Knicks!!! Next articleWhat is Hybrid Flooring and What Makes it So Popular?